Hello and welcome! My name is Joe Bailey. 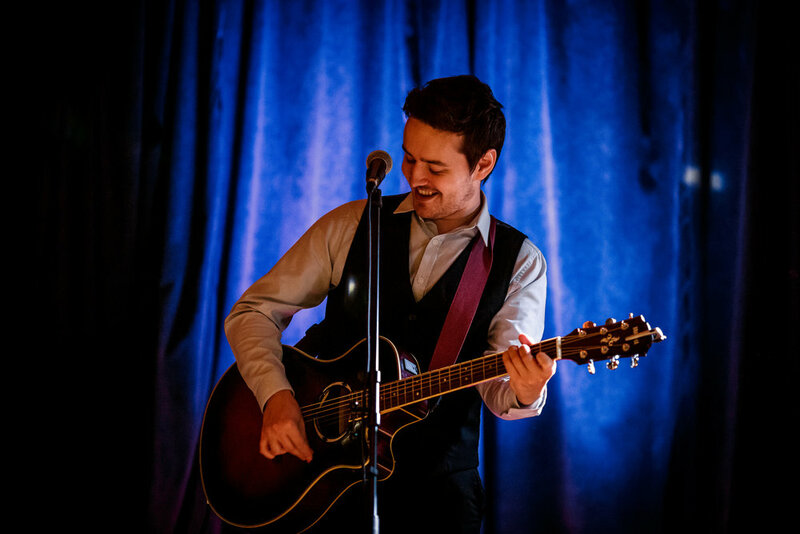 I’m a Cambridgeshire based musician, dedicated to providing the best quality entertainment for weddings, parties & corporate events. I understand that choosing entertainment for your event can potentially be an overwhelming task - there’s a lot out there to choose from, so I’m here to tell you a little bit about what makes me different. As of 2019, I have over 5 years of experience in the wedding & events entertainment industry. Having performed at almost 400 weddings alone, you can rest assured that I will deliver an unforgettable show with professional service. My rhythmic guitar playing and diverse vocals are supported by the beat of a bass drum, creating a much larger sound than most soloists. 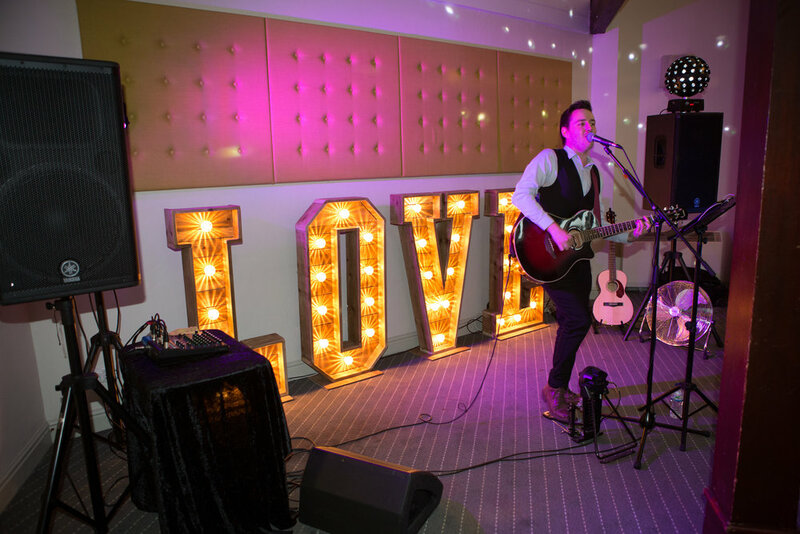 My repertoire is packed with a fresh mix of modern and classic hits, guaranteeing that your guests will be on the floor all night long! Just check out some of my videos and you’ll get the idea! What’s more is with every evening booking, you will also receive my complimentary DJ service to ensure the music stays flowing all night long. Anyway - enough about me! I’d absolutely love to hear more about your big day, so why not get in touch? Tell me your story!